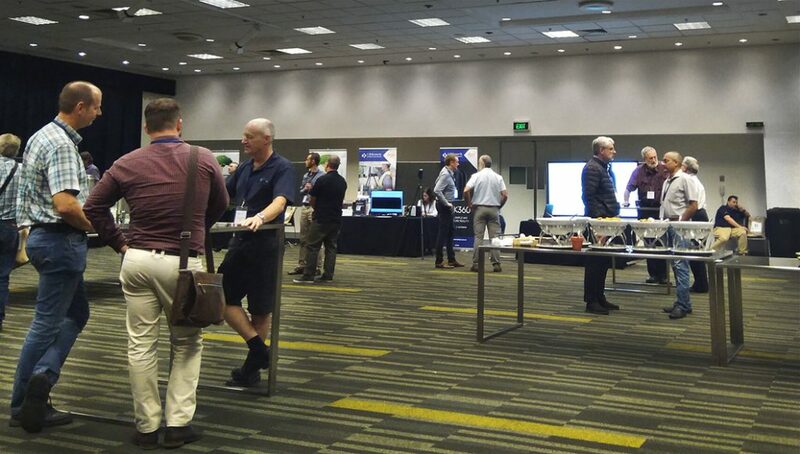 Last week was the ABC Australasia BricsCAD Conference 2019 in Brisbane, Australia. 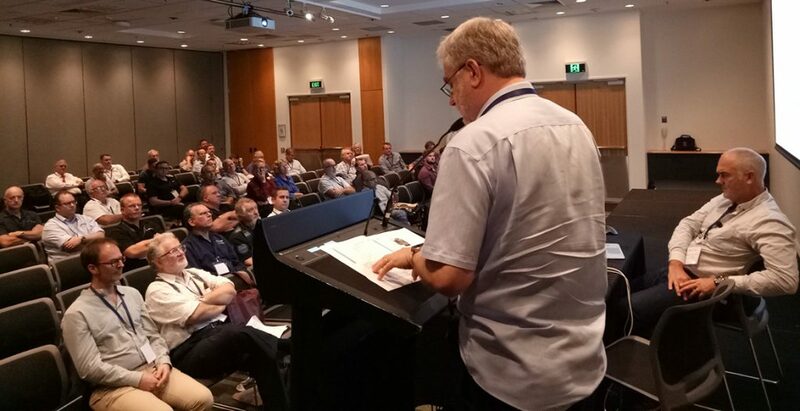 For those of you who didn’t get chance to make the journey down-under, here are the highlights from this year’s conference. The pace was fast and intense. No time for people to get bored. Where did BricsCAD come from? – Damian Harkin, Pieter Clarysse. 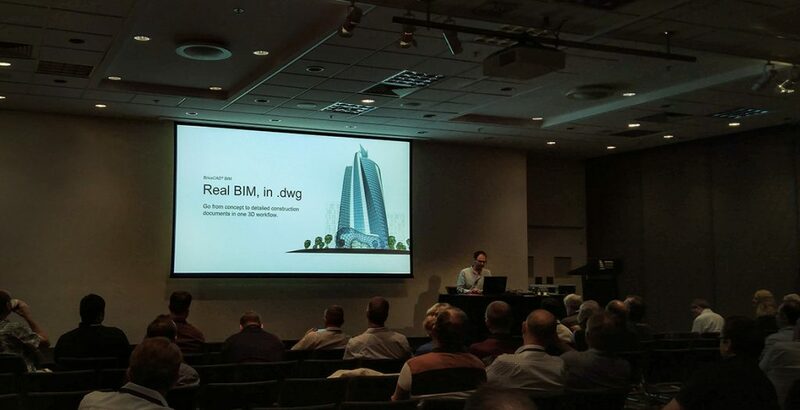 The conference kicked off with AC/DC’s For Those About to Rock, followed by Damian – Sofoco Pty Ltd, and Pieter – Lead BIM Development, Bricsys, giving a brief overview of BricsCAD. Did you know that the team here at BricsCAD has been doing CAD and BIM for over 30 years? But don’t worry, BricsCAD was rebuilt from all new code in 2005. It’s designed to be fast, robust, portable, and the perfect, 3rd party CAD applications platform. They went on to explain that BricsCAD is based on open standards. That’s because BricsCAD is a founding member of the Open Design Alliance. We’ve said it before and we’ll say it again. 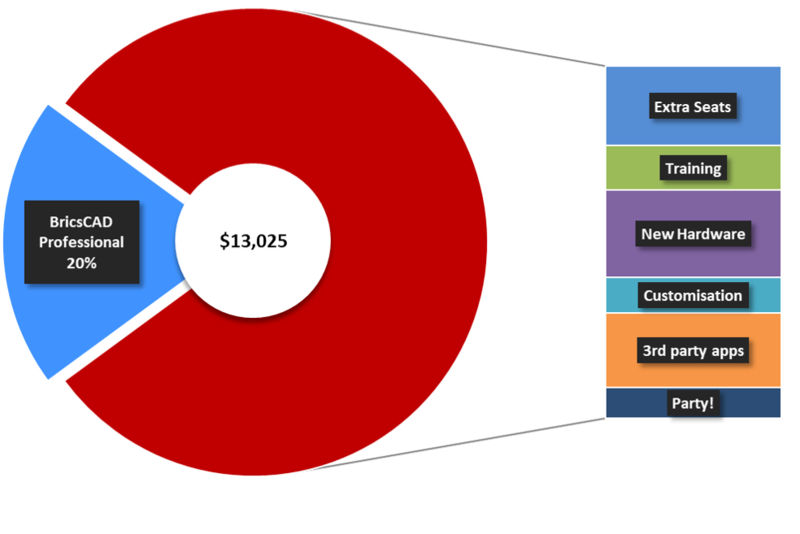 BricsCAD is cost-effective, thanks to its perpetual licensing structure. There is no forced rental for BricsCAD and we have no plans to change that! Get your title blocks, block libraries etc. working in BricsCAD. Learn how parametric blocks have the edge on dynamic blocks. Access exactly the same resources; linetypes, hatch patterns, etc. Look at specialist applications that you use and explore our ecosystem. There are alternatives! Download Ralph Grabowski’s free ebook BricsCAD for AutoCAD® Users. Train the core group first. 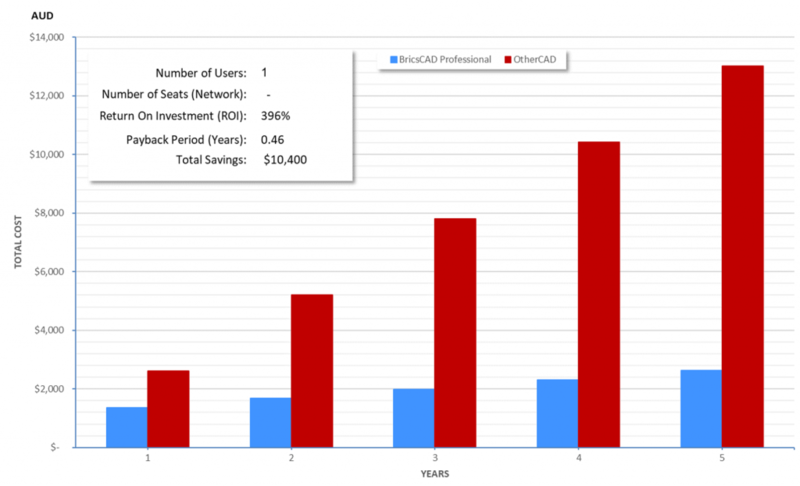 Start with 2 seats of BricsCAD and work with it for a year. When you’re sure it all works, make the switch! Read Robert Green’s complete guide to converting to, implementing, and training for BricsCAD. 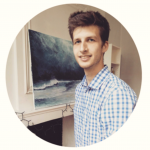 Ralph – Upfront.ezine Publishing Ltd, reflected on his career in CAD and the changes he has seen over his career. He spoke about three ‘black swan’ events that paved the way for BricsCAD. 2D CAD only, monochrome, hercules cards, and green screens! From CAD’s early days in the space race, at Hexagon’s very own Intergraph, to the future of CAD. 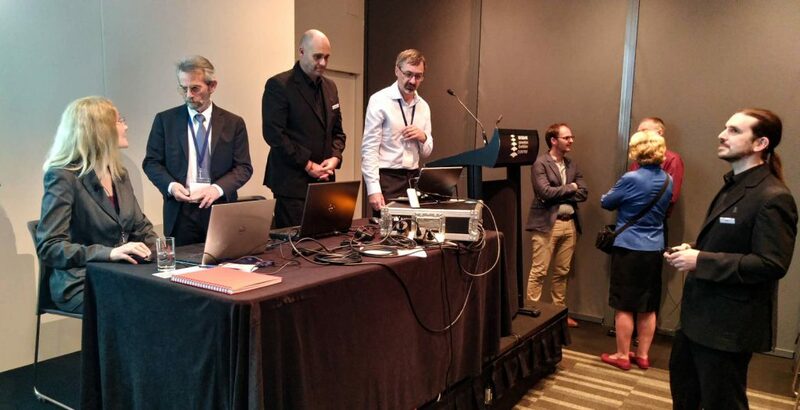 He remarked on how BricsCAD is using machine learning, AI, intuitive user interfaces, point clouds, point cloud interpretation, VR, and more to improve the CAD user experience. Then it was time for a break and a chance to meet up with the developers in the Ecosystem room. CadWorx, BricsCAD, Civil Site Design, Parabuild, ADACX, AutoPath, 12D Model, SurvaCAD, Cad Tracker, MepTrix, LandWorksCAD, and Leica Instruments. Damian gave some delightful, practical examples of BricsCAD’s parametric possibilities. Read more on parametrics here. Jason showed a chair base that Bill had made over the Christmas period. It’s constructed from 11 pieces of metal and has many angled parts. It was Bill’s first significant sheet metal project done in BricsCAD. 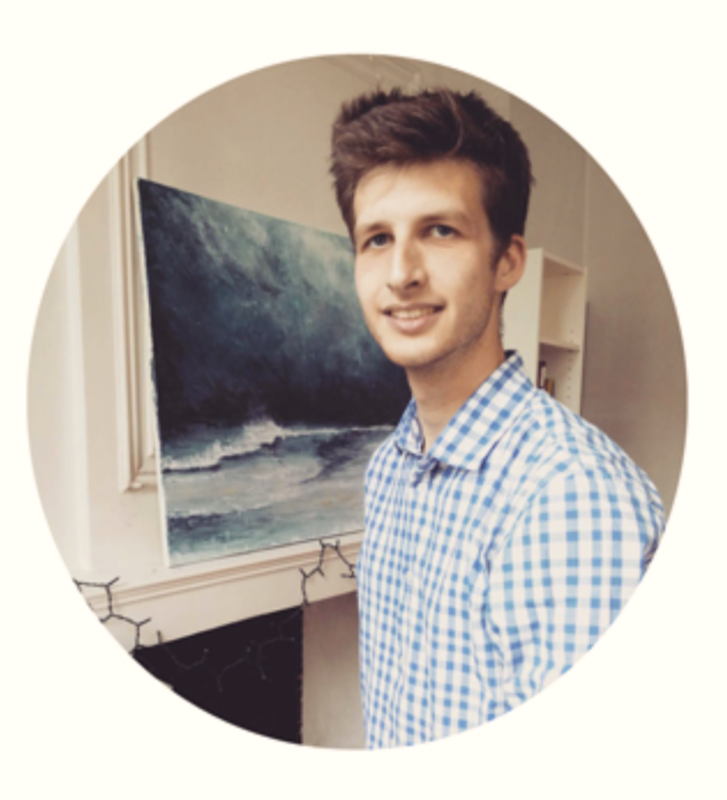 Previously he had worked in AutoCAD® 2D, working out the flat patterns in his head. Learn more, watch the Mechanical demonstration from the BricsCAD 2018 conference, or check the highlights. After all that, it was only lunchtime! A great chance for those at the conference to network and discuss their various BricsCAD tips and tricks. BricsCAD BIM – start in 3D, stay in 3D – Pieter Clarysse. The afternoon started in comedic fashion with the Majestic Fanfare. A tune familiar to Australians, but Pieter, seemed mildly confused by the idea of going on stage to a full symphony orchestra. However, that didn’t stop him and in a full, hour-long, demonstration he displayed practical application for BricsCAD BIM by building a steel frame. He also talked through some of the coolest features in BricsCAD BIM: Quickdraw, BIMify, components, ducts pipes structural profiles, IFC data etc. You can watch the complete BIM, keynotes from Bricsys 2018 here or check the demos. This was the first in the demonstrations of 3rd party apps. Damian – Parabuild demonstrated how to create a building frame from scratch. He explained how Parabuild recognizes profiles and matches them in its profile library. You can generate drawings, cutting lists, marking plans or export to DSTV file for the beam line. 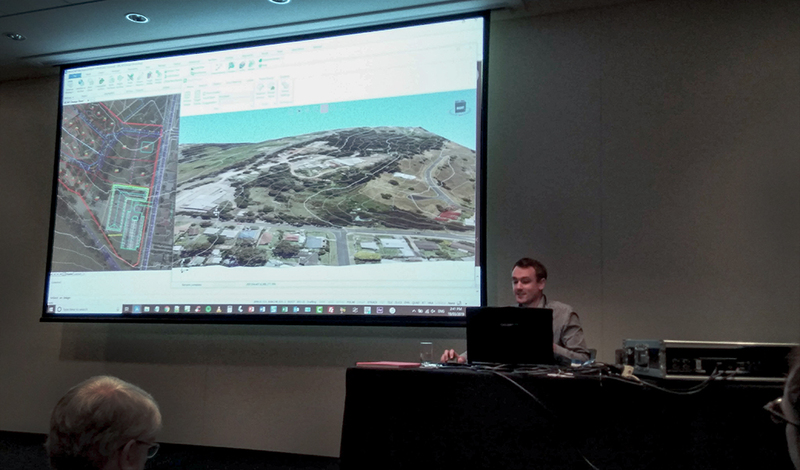 Probably the most impressive demo came from Johnathan – NSW Application Engineer, Civil Survey Solutions. He demonstrated Civil Site Design. Site modeling and road design on a terrain model overlaid with a high resolution draped image from NearMap. As he moved the model around the audience could see the cross section updating in real-time. Then afternoon tea. Phew. A chance to recharge before the final event. 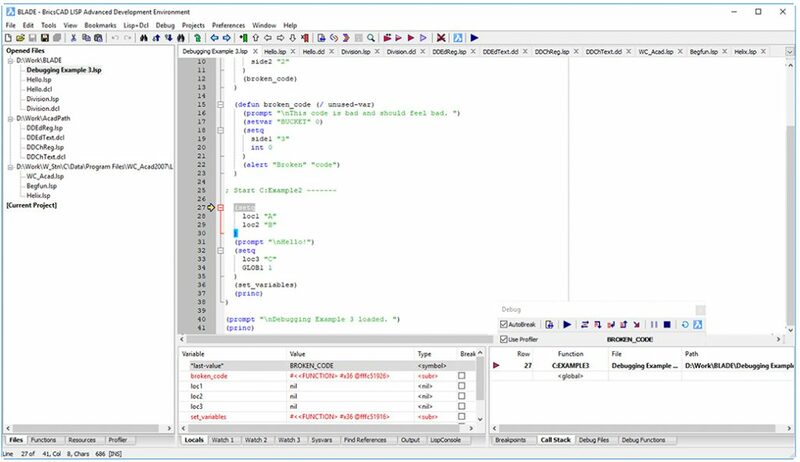 Despite Powerpoint let downs, Steve managed to work his way through an entertaining explanation of, BLADE: the best LISP development environment for AUTOCAD® programmers, BricsCAD programmers…all CAD programmers! Then, why .dwg is an oldie but a goodie, with demonstrations of Blockify. Once you have seen it – how can you live without it? Adaptive Grid, Nearest Distance, Nudge, CleanScreen, Quickdraw… the list goes on and on. Read the release notes, or check out the highlights. BricsCAD works across all disciplines. But who really needs to work across so many disciplines? Michael Smith had the answer with a short user story: CMQ concrete batching plants. Design AND construction! The company needs a CAD software that requires a quite frankly, baffling array of elements. BricsCAD does it all! How many software companies can claim that? Finally, a conclusion from Michael Smith – Director CAS Asia Pacific, Hexagon on Hexagon’s perspective. The easy porting of CADWorx, Hexagon’s investment in Bricsys, and future plans for BricsCAD. To end there was a lively Q&A followed by a chance to reflect on the day with quiet get together at the Charming Squire pub. Share your BricsCAD story at Bricsys 2017! Seems like it was a great day – hopefully I can attend next year! Enjoyed the day very much. Thank you for your coverage Ralph.